Although she is the third Number to be created, she is as old and experienced as Uno and Due. Her 'IS' are energy wings that forcefully accelerates her body's movements and that doubles as blades for meele combat. If Uno's is the backstage coordinator, then Tre is the front line leader. Once in the battlefield, she can act over her own judgment and freely give orders to her younger sisters. Though her temperament is usually cold for the sake of better decision-making, she can easily get agitated once on her own. 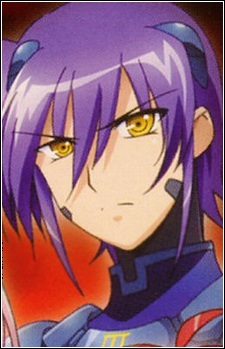 On the personal level, she has a great deal of trust towards Scaglietti and is usually strict with her sisters. In episode 24, she was knocked out by Fate in sonic form.